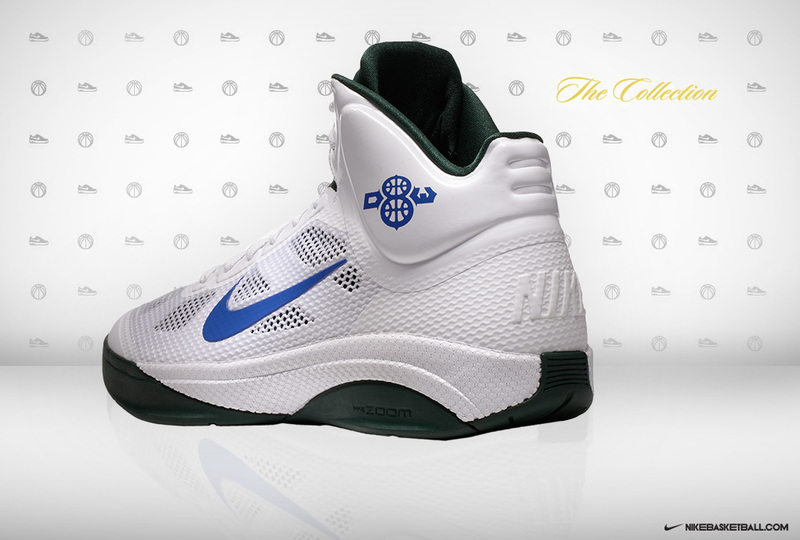 A closer look at the shoe Deron Williams has been wearing for Utah's home games. 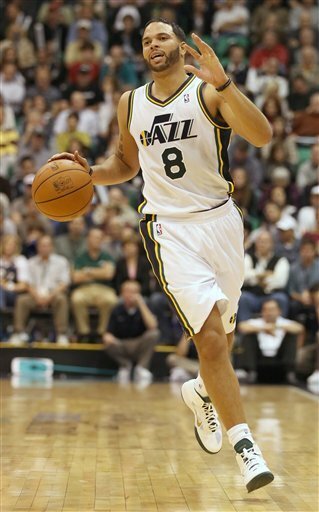 How spoiled have the Utah Jazz been with their floor generals? Perhaps the best pure point guard to ever play the game, John Stockton set seemingly impossible records in Utah over the span of 19 years. After two years of Carlos Arroyo trying to fill the void, the team drafts Illinois' Deron Williams. Six seasons into his career, Deron has a legit claim to being the league's top point guard. His balance of efficient offense and distribution is about as good as it gets in today's game. The hesitation crossover dribble has claimed the ankles of many would-be defenders. 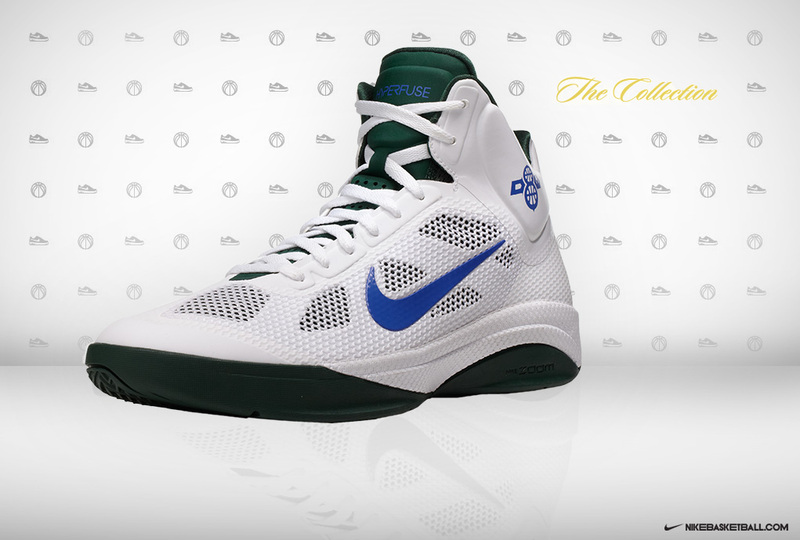 Helping Deron maintain his fleet-footed ways this season is the Nike Zoom Hyperfuse. We've already seen a couple of his player exclusive colorways, but here's a white-based pair he's been rocking during home games. 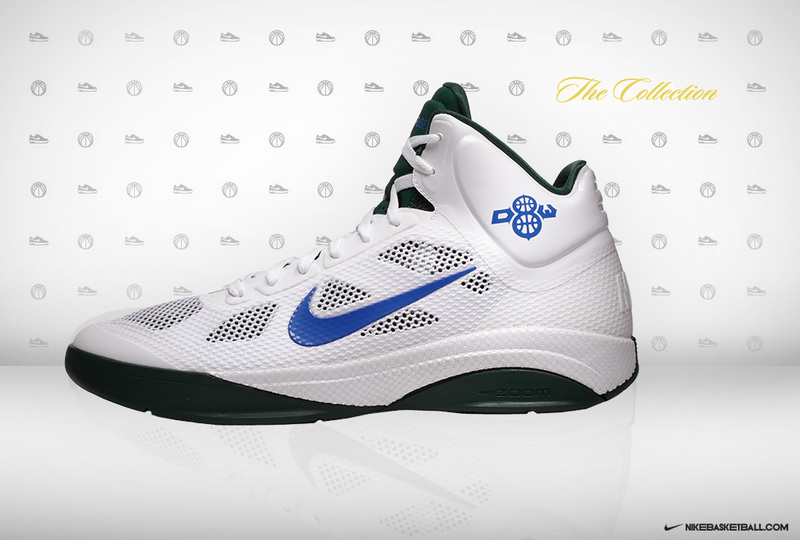 The "Home" Deron Williams Hyperfuse PE sports a white synthetic and mesh upper, with gorge green working the tongue and inner liner. 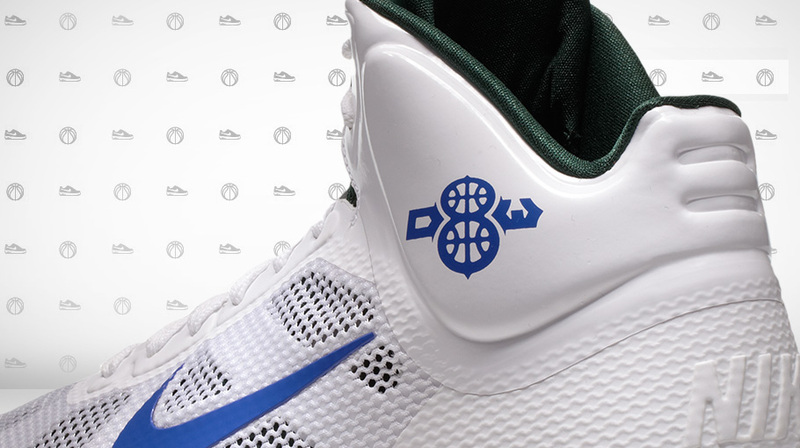 Royal blue is used for the Swoosh logos on the side panels, as well as Deron's "D8W" logo on the lateral ankle. Capping off the look below is a gorge green rubber outsole. What do you think about some of the color combinations we've seen on Deron's Hyperfuse PEs?